A basement wastewater drainage system typically comprises of items such as sanitary pipework from appliances, pumping units and pressurized discharge pipework and ventilation pipework. 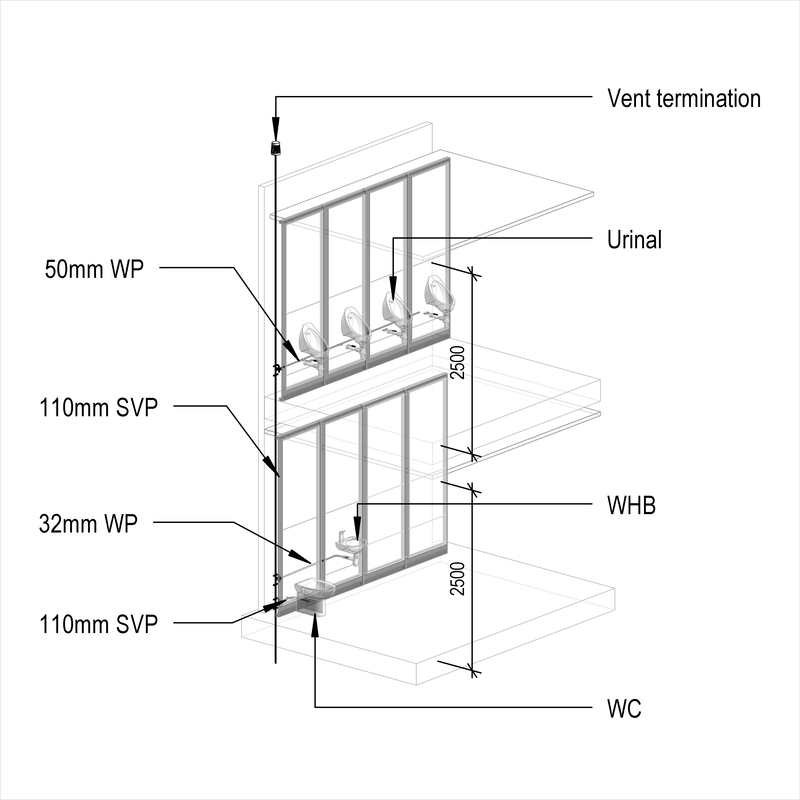 Complete this electronic spreadsheet to ensure that your Basement waste water drainage systems product information meets the requirements of Level 2 BIM. This is important as it will enable your customers to select, specify and use your products within the BIM environment. Once you have completed this template you can host it on your own website or distribute it to your customers. Please note that we do not host completed product data templates within the BIM Toolkit. 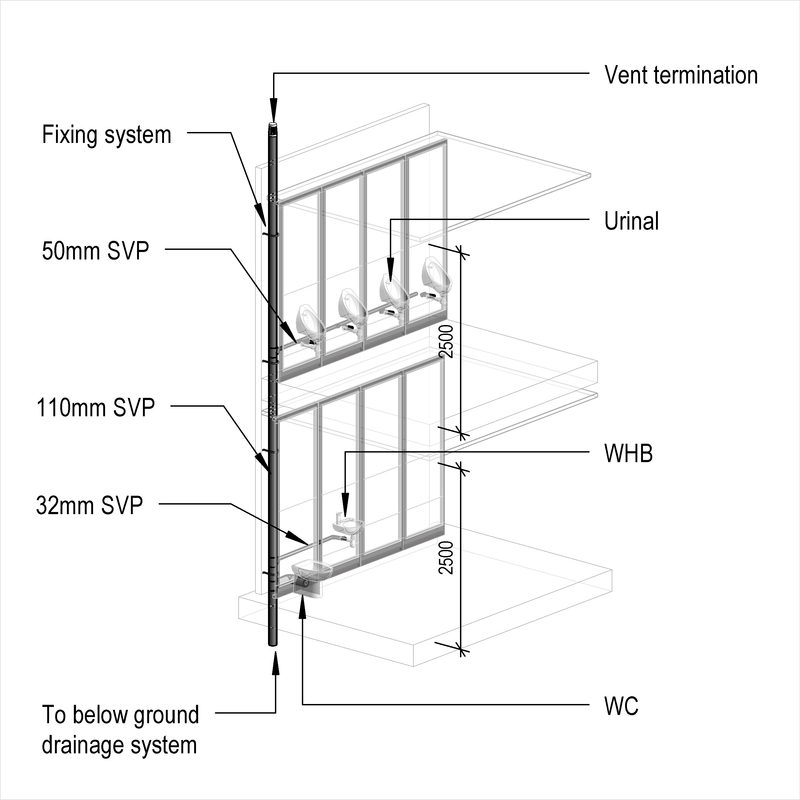 The above illustrations are for Above ground internal stack wastewater drainage systems from the NBS section Above ground wastewater drainage systems. This is indicative of the LOD requirements for Basement waste water drainage systems. System manufacturer The System manufacturer of the Basement waste water drainage systems. Sanitary pipework from appliances - Small diameter branch gravity discharge pipework - Traps Products such as Sanitary appliance traps. Sanitary pipework from appliances - Small diameter branch gravity discharge pipework - Pipelines and fittings Products such as Acrylonitrile butadiene styrene (ABS) pipes and fittings. Sanitary pipework from appliances - Small diameter branch gravity discharge pipework - Accessories for jointing Products such as Polytetrafluoroethylene (PTFE) tapes. Sanitary pipework from appliances - Small diameter branch gravity discharge pipework - Supports Products such as Above-ground drainage pipe brackets. Sanitary pipework from appliances - Small diameter branch gravity discharge pipework - Fixings Products such as Masonry plugs. Sanitary pipework from appliances - Large diameter branch gravity discharge pipework - Pipelines and fittings Products such as Modified unplasticized polyvinyl chloride (MUPVC) pipes and fittings. Sanitary pipework from appliances - Large diameter branch gravity discharge pipework - Accessories for jointing The Sanitary pipework from appliances - Large diameter branch gravity discharge pipework - Accessories for jointing of the Basement waste water drainage systems. Sanitary pipework from appliances - Large diameter branch gravity discharge pipework - Supports Products such as Above-ground drainage pipe brackets. Sanitary pipework from appliances - Large diameter branch gravity discharge pipework - Fixings Products such as Masonry plugs. Sanitary pipework from appliances - Large diameter branch gravity discharge pipework - Insulation Products such as Mineral wool pipe section insulation. Pumping units and pressurized discharge pipework - Pumps Products such as Small bore discharge macerator and pumps. Pumping units and pressurized discharge pipework - Small diameter pressurized discharge pipework - Pipelines and fittings Products such as Acrylonitrile butadiene styrene (ABS) pipes and fittings. Pumping units and pressurized discharge pipework - Small diameter pressurized discharge pipework - Accessories for jointing The Pumping units and pressurized discharge pipework - Small diameter pressurized discharge pipework - Accessories for jointing of the Basement waste water drainage systems. Pumping units and pressurized discharge pipework - Small diameter pressurized discharge pipework - Supports Products such as Above-ground drainage pipe brackets. Pumping units and pressurized discharge pipework - Small diameter pressurized discharge pipework - Fixings Products such as Masonry plugs. Pumping units and pressurized discharge pipework - Small diameter pressurized discharge pipework - Insulation Products such as Mineral wool pipe section insulation. Pumping units and pressurized discharge pipework - Discharge stack pipework - Pipelines and fittings Products such as Polypropylene (PP) solid wall pipes and fittings. Pumping units and pressurized discharge pipework - Discharge stack pipework - Accessories for jointing The Pumping units and pressurized discharge pipework - Discharge stack pipework - Accessories for jointing of the Basement waste water drainage systems. Pumping units and pressurized discharge pipework - Discharge stack pipework - Supports Products such as Above-ground drainage pipe brackets. Pumping units and pressurized discharge pipework - Discharge stack pipework - Fixings Products such as Masonry plugs. Pumping units and pressurized discharge pipework - Discharge stack pipework - Insulation Products such as Mineral wool pipe section insulation. 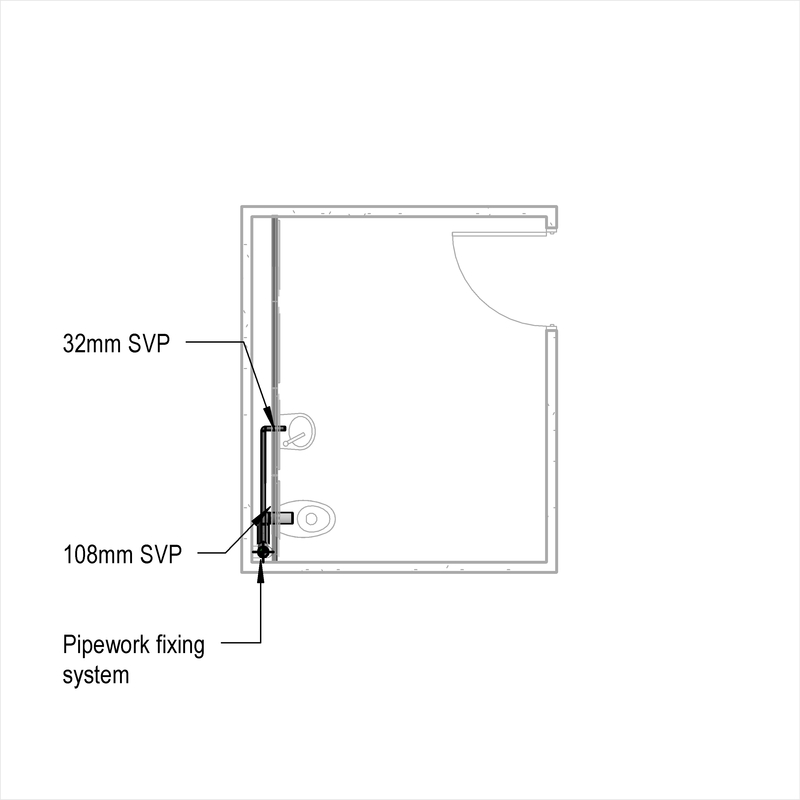 Ventilation pipework - Pipelines and fittings Products such as Acrylonitrile butadiene styrene (ABS) pipes and fittings. 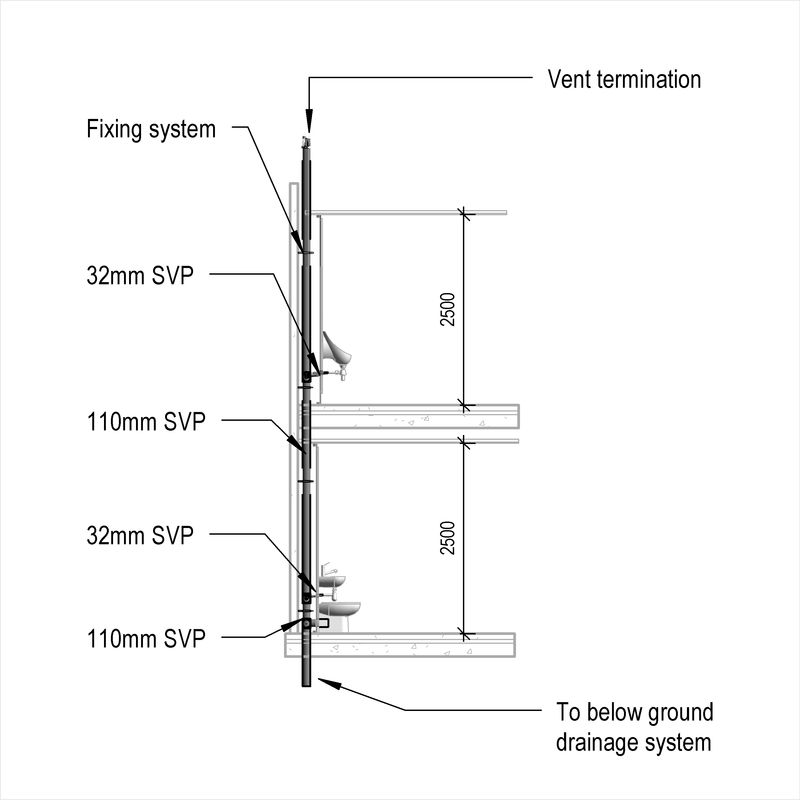 Ventilation pipework - Accessories for jointing The Ventilation pipework - Accessories for jointing of the Basement waste water drainage systems. 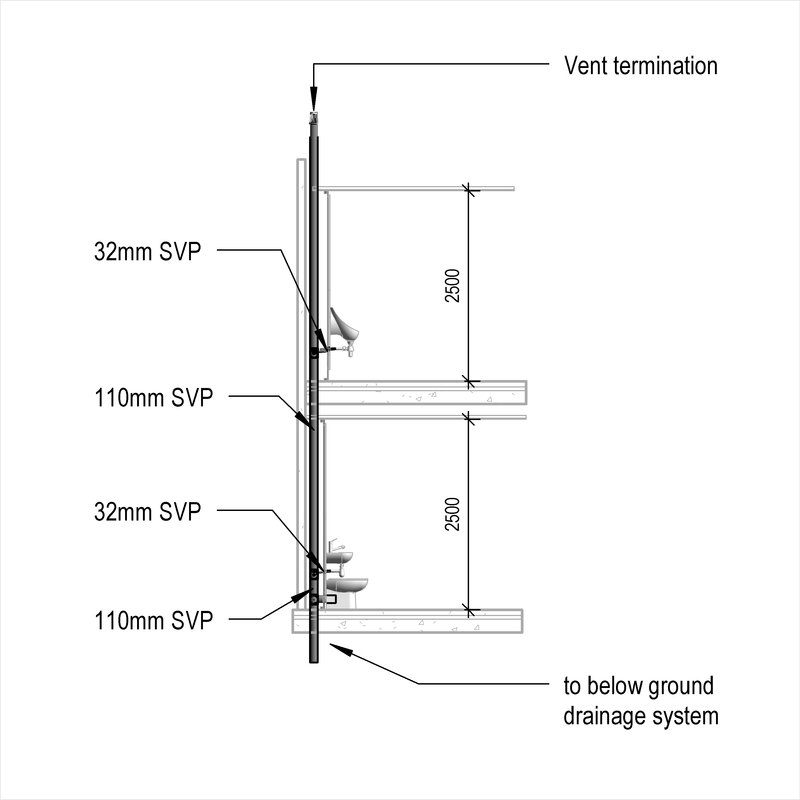 Ventilation pipework - Supports Products such as Above-ground drainage pipe brackets. 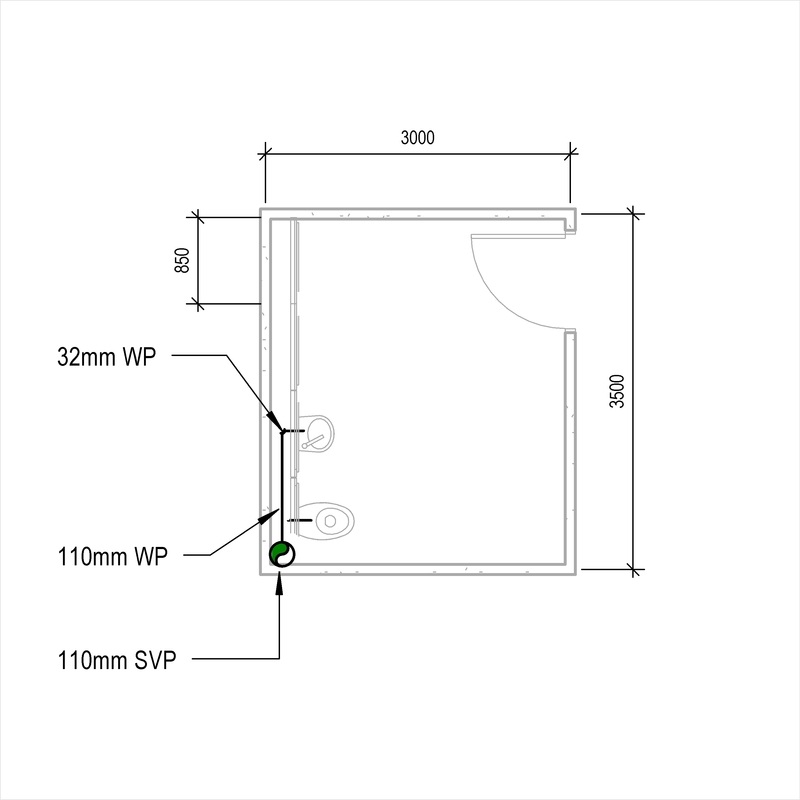 Ventilation pipework - Fixings Products such as Masonry plugs. 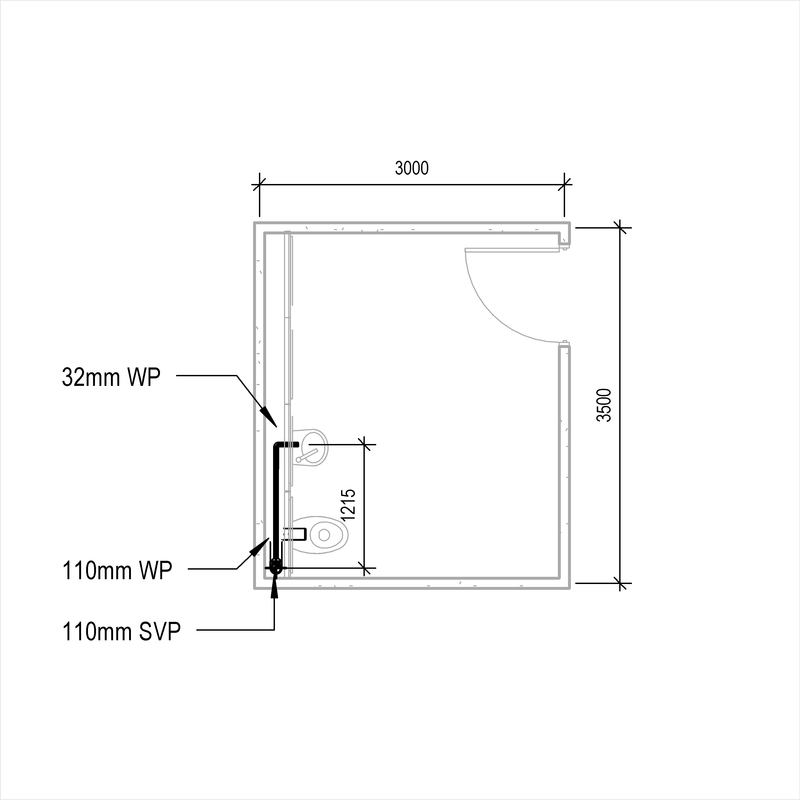 Fire stopping - Floor penetrations Products such as Fire-resisting mortars. 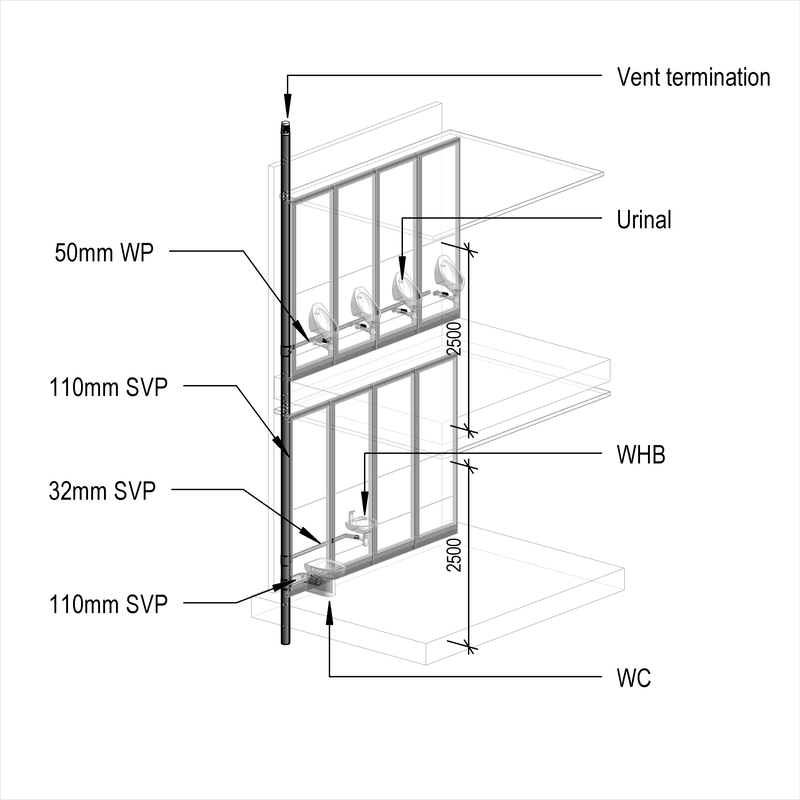 Fire stopping - Wall penetrations Products such as Fire-resisting mortars.